as the leader of several social and environmental projects. A renowned adviser for fund-raising drives and president of various trusts in Mexico. She is the recipient of several awards acknowledging her commitment to social development in Mexico. 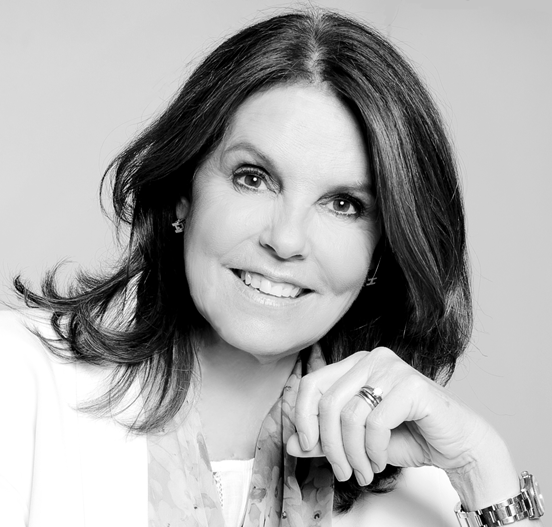 She has thirty-six years of experience in philanthropy, fund-raising, and promoting quality education. Former Executive Director of Papalote Museo del Niño (1993-2011). 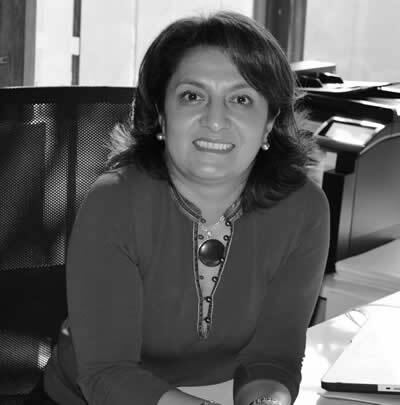 She has worked at Mexico City’s local government and the Ministry of Education in various administrations, as well as the Fundación Mexicana para el Desarrollo Rural, A.C.
She holds a BA in Sociology from Universidad Iberoamericana and an MA in International Development of Education from Stanford University. She has been responsible of the concept-creation, design, production, and assembly of over 50 permanent, temporary, and travelling museum projects. She has built and managed multidisciplinary teams that include advisers, researchers, artists, designers, museum professionals, architects, communicators, and educators, among other professionals. She has an eighteen-year experience in the creation and operation of learning spaces. During this time, she has established partnerships with several professionals and theoreticians in the museum field that have enriched her professional experience. She holds a BA in Industrial Design from Universidad Autónoma Metropolitana and a MA in Museums from Universidad Iberoamericana. 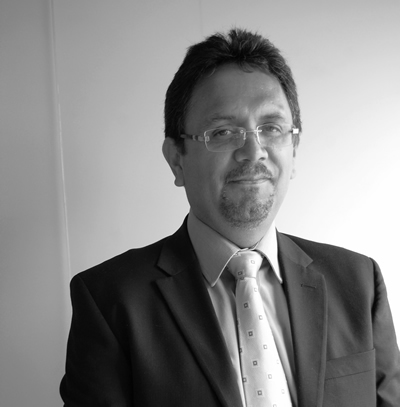 He is an expert in procurement, management and coordination of museum projects. He has broad experience in planning and coordinating the production process of projects, as well as in team management. He has a twenty-year experience in the museum field. 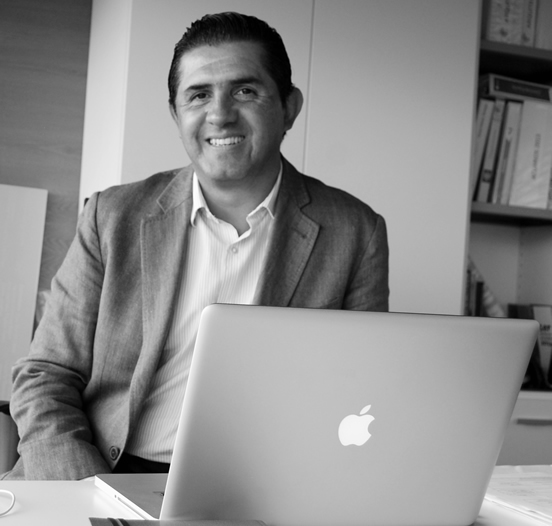 He holds a BA in Industrial Design from Universidad Autónoma Metropolitana and a Diploma in Small and Medium Enterprises Management from ITAM. He has more than twenty years of experience in interactive museum operations, including personnel recruiting, selection and training. He has also developed the organizational structure of different museums, as well as programs for museum guides and volunteers. 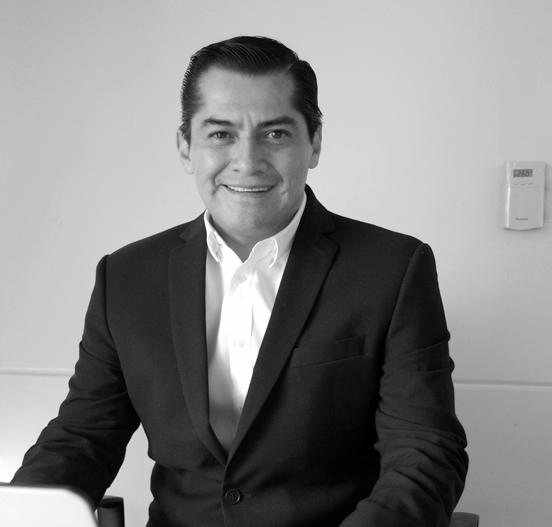 He is certified as a Public Accountant by Mexico’s National Autonomous University, with a major in Auditing and a diploma in Analysis and Interpretation of Financial Statements. He has thirty years of experience in Administration, Budgets, Financial Planning, Auditing, Finances and Treasury in the petrochemical sector. Throughout the years, he has taken different courses from ITAM, the Accounting Society and Centro Mascarones at the National Autonomous University. 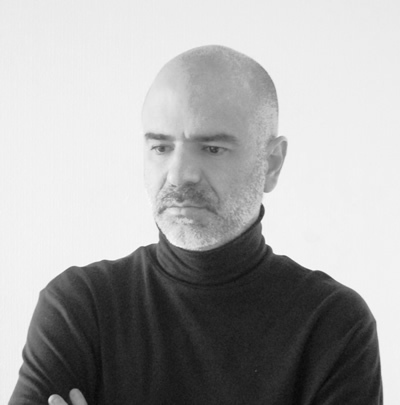 Architect with more than twenty years of professional experience, and who graduated with honors from Universidad Central de Venezuela. He has collaborated in exhibit installations, as well as art events through a series of multimedia installations and scenographic elements. He specializes in museographic projects and exhibit architecture. In 1996, he won the national contest for the development of the Venezuela Pabillion in the Lisboa World Fair. In 2001, he carried out the World Bank pilot project for the physical habilitation of marginal neighborhoods in Venezuela. Since 2006, he has developed several projects with Empty, SL. The diversity of his work can be seen in numerous publications, exhibitions, art presentations and events, architecture, and urbanism. 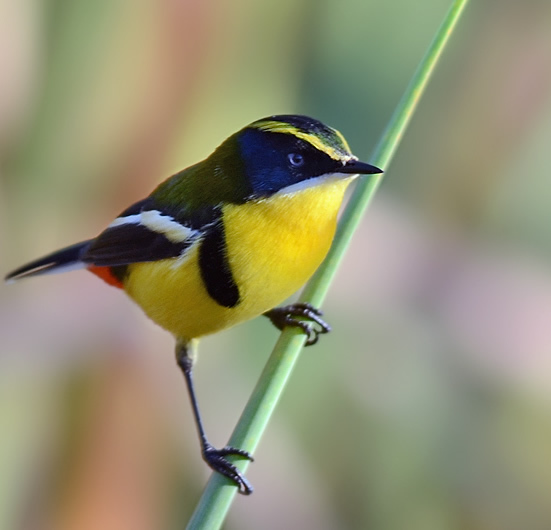 Within the Passeiformes order and member to the Tyrant Flycatcher family, we find the beautiful Many-colored rush tyrant or Sietecolores in Spanish (Tachuris rubigastra). A small bird, it is only 10.5 cm long. The upper part of its head is black, with a spot of red, and a yellow line that goes from its beak to the nape. A blackish blue surrounds its eyes and auriculars. Its throat is white, turning to yellow in the breast, which is also divided by an incomplete black strip toward the center. Its mantle is a shade of bronzed dark green. Its upper coverts are gray, with a red vent. Its wings are brownish gray, with a white border that creates a wide transversal line. Its tail is black, with a white tip. It has a thin beak and black feet. Its eyes are light blue. The female has subtler colors.